Quantum Blu Aerial Media is the Drone Aerial filming & Photography division of Quantum Blu Ltd, which has run a commercial corporate filming operation for some 18 years (www.quantumvideo.co.uk). It became clear that with the advances in drone filming technology, we could offer clients an exciting new dimension to filming & Photography at a fraction of the cost. Use of low level drone aircraft has also opened up new areas of imagery and data capture, such as land surveys and ortho mosaic 3-D modelling data. Uses for drone media are growing fast and include applications as diverse as the emergency services for fast response surveillance and news media for events such as flood monitoring. Gary is the operations manager and a qualified SUA Remote pilot, who will discuss your requirements and scope the operation accordingly. With a background in commercial filming and photography and a passion for Drones, he will run through your requirements with you and advise throughout. 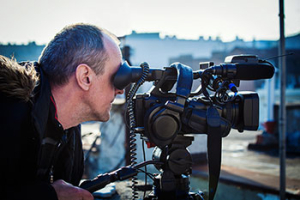 David is responsible for the camera operations, where a dedicated cameraman is required. 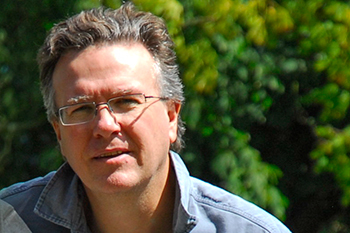 He has an extensive background in commercial film production and post production editing. One of the work horses of the team – the DJI Inspire 1 Pro aircraft, capable of 4k HD filming and 16 megapixel stills photography images. 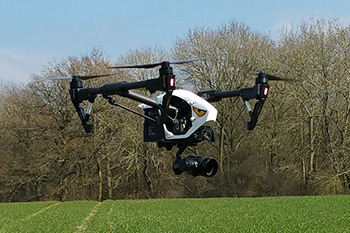 Remotely operated, highly portable and with broadcast quality output; it has revolutionised the low level aerial imagery industry and associated applications, whilst making it highly affordable. A recent addition; small in size, but highly capable for less demanding one-man jobs. 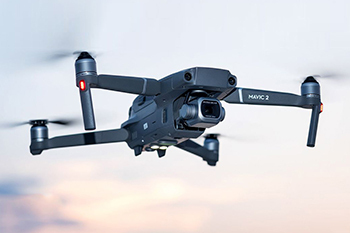 Boasting 4k HD filming capability and a 20 megapixel camera supplied by Hassleblad, the Mavic 2 Pro can be deployed within minutes. Ideal for real estate and events such as weddings.